A comprehensive, in-depth collection of classic as well as never before published breath techniques given by Yogi Bhajan, Master of Kundalini Yoga. Up to 100 different meditations using various types of praanayam practices: segmented breath, whistle breath, sipping the breath, and more. Clear and concise instructions on the bhandas-the locks-which support the breath and its movement, and fascinating tips from Yogi Bhajan’s teachings on the vayus, the nadis, praana and apaana, Breath of Fire, supending the breath on the inhalation and exhalation, and much more. 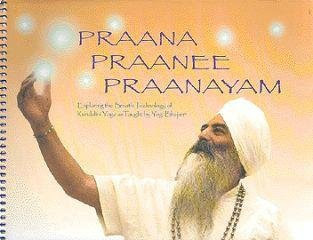 Come to understand Praana and yourself as a Praanee in an entirely new way; explore the hundreds of praanayam practices and become a master of the breath-and in turn, master your life!